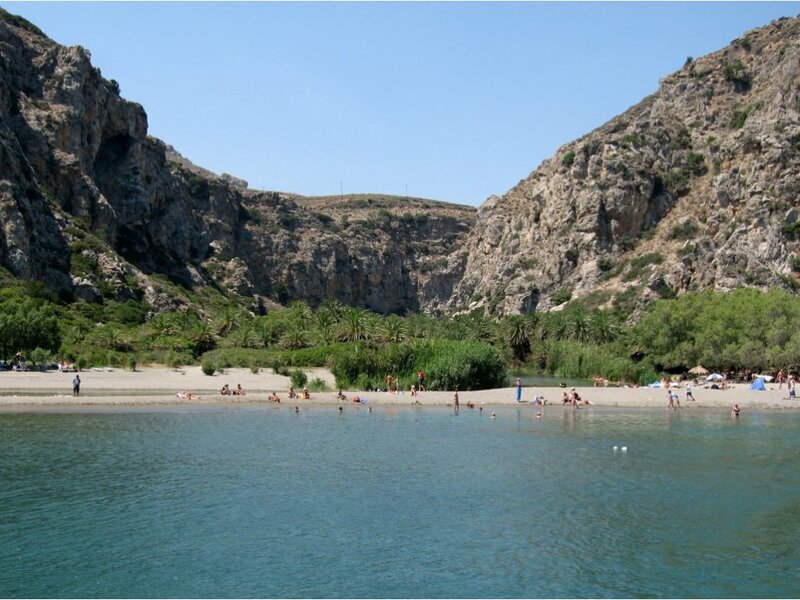 You can travel to Preveli Palm beach with a car (around 35km from Agia Galini) or with daily boat cruises! 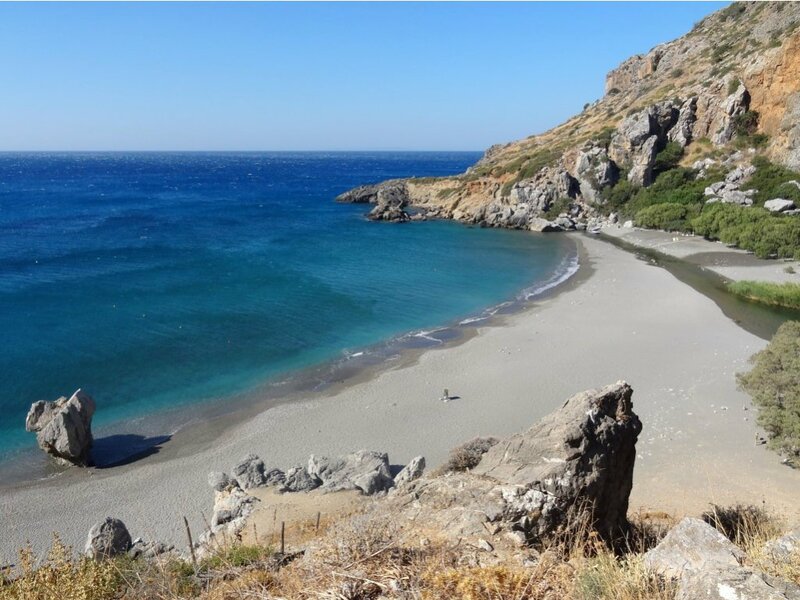 Preveli beach and lagoon (Greek Λίμνη του Πρέβελη), sometimes known locally as "Palm Beach", is located below the Preveli Monastery, at the mouth of the Kourtaliótiko gorge. 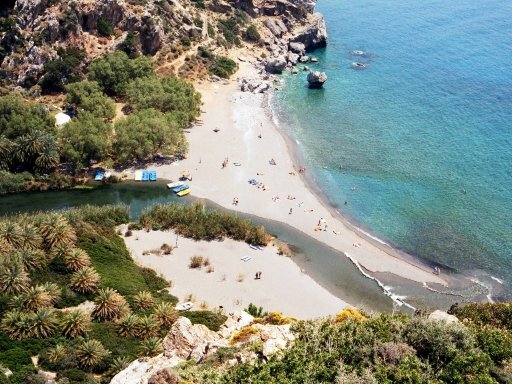 Behind the beach is an extensive glade of palm trees. 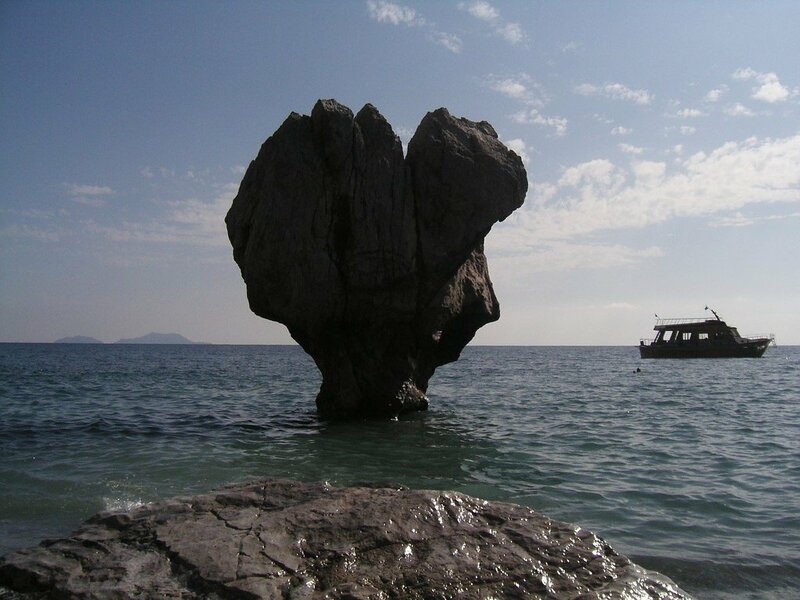 The beach is regularly served by tourist boats from Agia Galini and the nearby resort of Plakias. 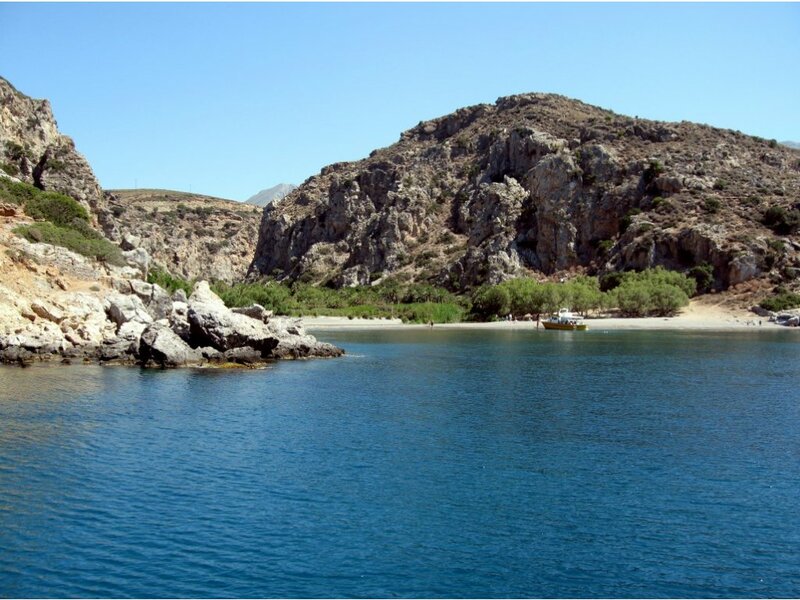 On August 22, 2010, a large proportion of the palm grove was destroyed in a fire but today it has totally and rapidly naturally re-generated . 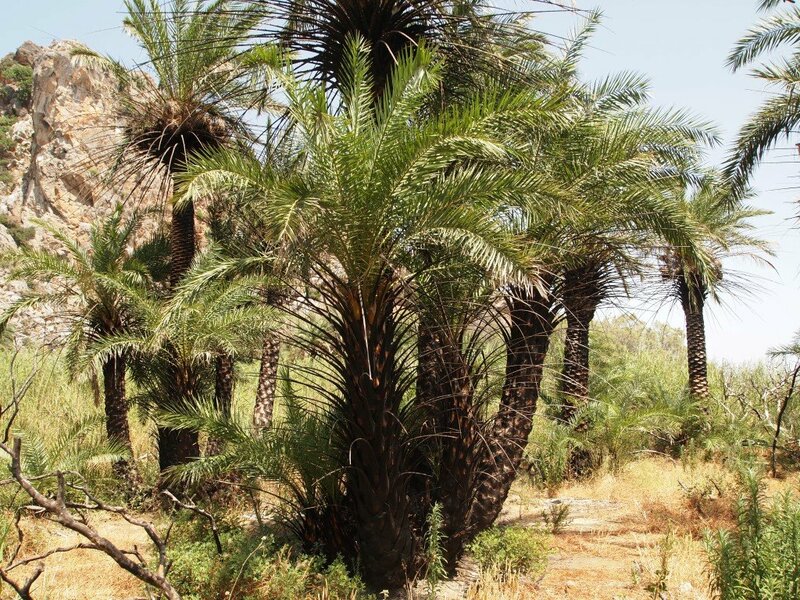 Despite fears that the palm grove was being believed that had been completely destroyed by this fire, now there are many positive signs that P. theophrasti not only is able generally to re-generate successfully but the oldest and youngest palms of this palm forest too, have been totally re-generated.